They say when it rains, it pours & it's raining teeth around here. Brinley lost another tooth tonight and the other tooth right next to it is wiggling as well. Addison is getting her 2nd tooth I could see it this afternoon and of course following our kids tradition she is doing it 2 at a time. I have to laugh because I think it's funny both my girl are either losing or getting teeth. Brinley's are both on top & are falling out and Addison's are on the bottom & coming in. Like I said It's raining teeth! While listening to Conference this afternoon which by the way was AWESOME! There were so many great talks. Anyway Jentry aka. 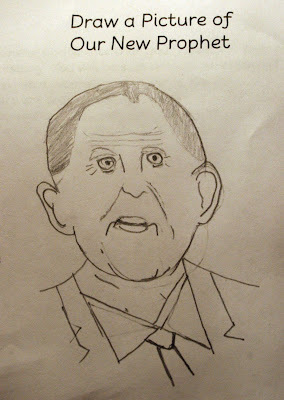 our Resident Master Artist worked on his conference packet & here is his drawing of our new Prophet Thomas S. Monson. We think he did a pretty good job. We have one loosing teeth too (as you know). I am very impressed by the drawing. Let's just say NONE of ours looked like that! Great job! ♥ He did a great job on that drawing! Wow good job jentry!! I know I could never draw that well. 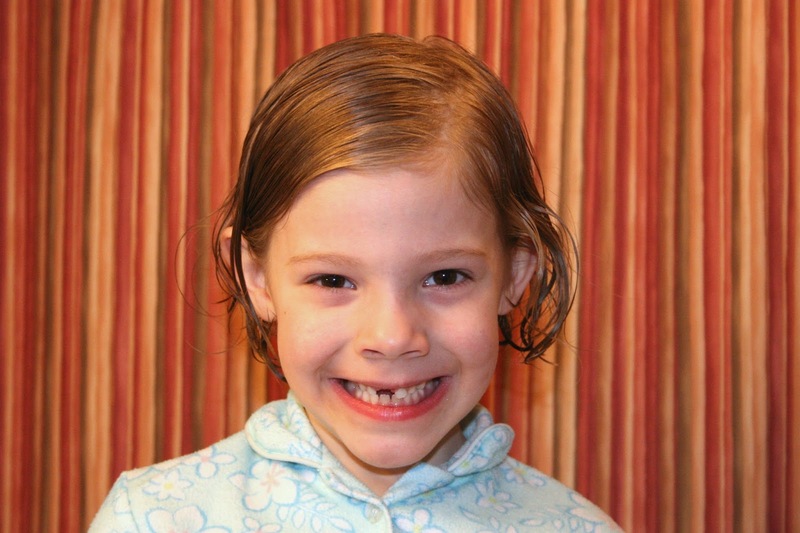 Alana has a tooth too! 6 months is when hers came in. I hope Brinley is saving up those dollars for something fun! Gotta get it while she can. Great job on the picture jentry! Very cool! I wish I would have printed out the packets but I have not connected my printer to my lap top and the other computer is not working! o well. 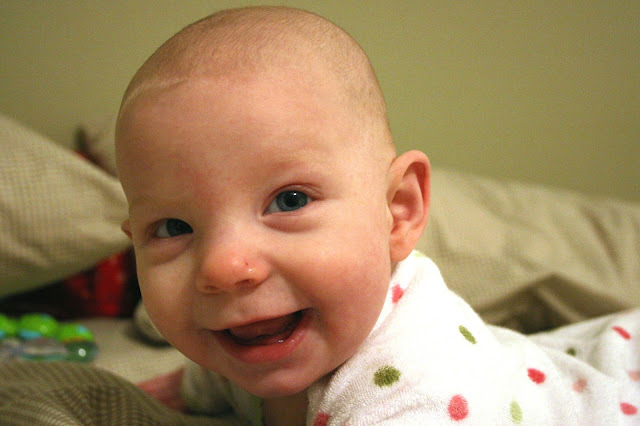 Brinley what a sweet smile you have. You and Addison have something in common now. Your losing and getting teeth and Addison is getting some also. It just means your all growing up too fast. Jentry, you did a great job on your drawing of the Prophet I'm impressed! That is a great drawing! I think it looks a lot like him!! When my oldest lost her first two teeth my youngest got his first two, so Shayla said I think the tooth fairy gave my old teeth to Howie! So funny! 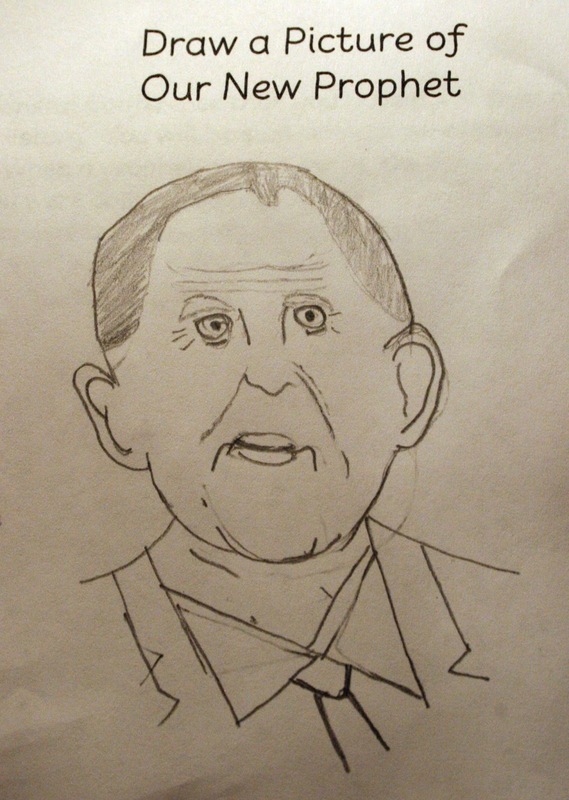 the drawing of Pres. Monson is just too cute! You should send it to the Friend! Seriously!